Share Exodus Music Group's EPK! When the track began the sample caught my attention…. The Production is good and the beat is well produced. 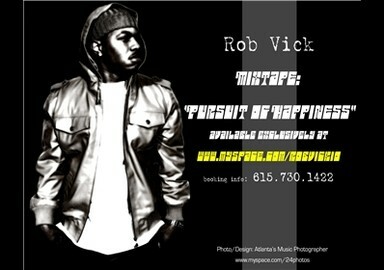 I’m excited to hear “Rob Vick” develop his writing into a mature lyrical ambassador. His writing style crutches on the likes of Kanye/Lupe/Jay-Z…. Its not a bad sound… but I’m expecting more L.C. (Lyrical Content) especially to lay on this smooth sounding melody. Overall I like the song “Whole”. From Slick Rick's "The Ruler" to T.I. 's "King," it's hip-hop tradition for rappers claiming to be the "greatest" to give themselves monarchal titles, but Jay-Z took it to a new level when he rechristened himself "Jay-HOVA" (Jehovah) and "God MC" — and some still wonder how he got away with it. When it comes to his lyrical skills, Nashville rapper Rob Vick also isn't lacking in the confidence department, but he's not taking credit for his gifts. As he states in "Dance Song," an choir-sample-backed Dirty South banger, "I'm not spitting like Hova no more — I'm spitting for him." That is, Vick's rapping for God. In another song, he explains, "I can't help but be cocky about what he has done for me." Through his colorful flow and a great ear for production (he plucked a diverse set of beats, featuring American Gangster cinematic soul and towering electronic anthems, from producers he found online) Vick makes Christian rap epic and compelling, as to him, his faith and future carry the same life-or-death importance that's found in the criminal fantasizing of Jay or Young Jeezy. It's those two rappers — through the music and vocal delivery, if not the subject matter — that Vick most closely resembles. One of his greatest strengths is that he's informed by the whole hip-hop spectrum, even if he doesn't agree with much of what's being preached. "In My Shoes" strikingly relates the story of Peter denying Jesus to the controversial "Stop Snitching" campaign. You won't find that kind of cred and synergy on a Carman disc. Keeping his ear to street, of course, is how Vick's message, as he says, will "touch those who normally wouldn't be tuning in." On "God As My Witness," he expresses thanks to Kirk Franklin for changing perceptions of what "gospel" music can be. If Vick's just getting started, it's not that hard to imagine him someday making that kind of impact. Matthew 28-19 says Go ye therefore, and teach all nations, baptizing them in the name of the Father, and of the Son, and of the Holy Ghost. 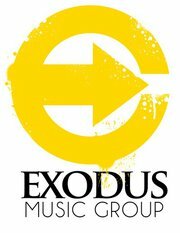 Exodus Music Group was formed by rappers Eddie Mo, Samson, Rob Vick and producer Holla Hayz in 2011 to proclaim the will of God in a manner that is true to the basic fundamentals of Christianity and is still true to the essence of hip-hop. All three artist although different in style come together with the same agenda and purpose of presenting the uncompromising word of God to the masses.